A royal commission into the mistreatment of Australians with disability is starting to take shape, with the Morrison Government releasing draft terms of reference and agreeing to fully fund it. Source: SBS News. The federal Government is proposing to investigate the violence, abuse, neglect and exploitation of Australians with disabilities, wherever it has taken place. 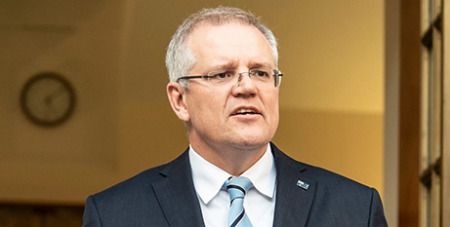 Prime Minister Scott Morrison said the inquiry would cover people with cognitive impairments as well as physical disabilities. He said there would be no time limit on cases to be considered. “It’s focused on how they have been mistreated, abused, not respected, been held back, not being able to realise their opportunities to live full and complete lives,” Mr Morrison said yesterday. One-in-five Australians have an impairment, either from birth, or acquired through an accident, illness or ageing. Disability campaigner Kirsten Deane said the royal commission had been a long time coming. “The abuse, violence and neglect experienced by so many people with disability has remained in the shadows for far, far too long,” Ms Deane said. Ms Deane wants people with disabilities to be included as commissioners. Disability advocates are pushing for the royal commission to be called before the government calls an election and enters caretaker mode, when such an inquiry can no longer be established. Mr Morrison said they would “move quickly” to set up the commission, which will be fully funded by the government, once the two-week consultation on the draft terms of reference is completed. The Government is taking feedback on the draft terms of reference over the next two weeks, in case something has been missed.